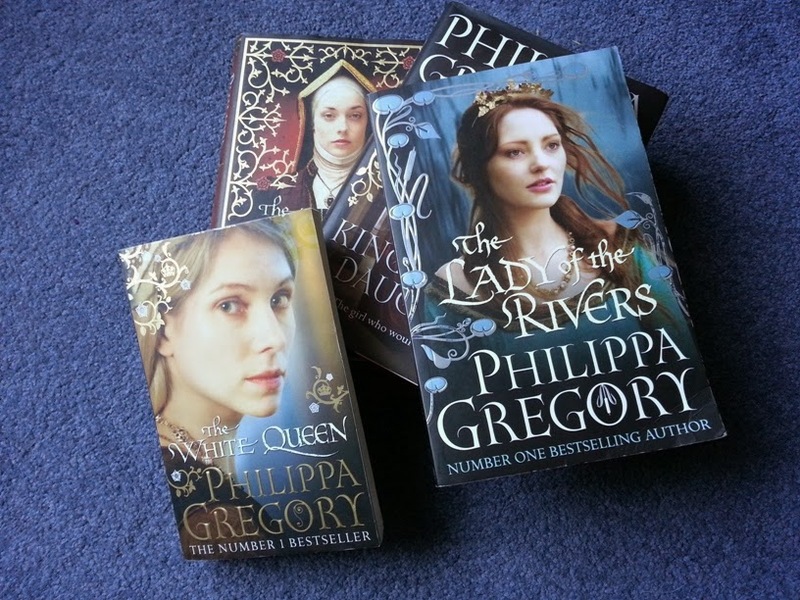 I've made no secret of the fact that I'm a huge fan of Philippa Gregory, and have read, and own, just about every book she has written. Well, I want to tell you about the latest of Ms Gregory's impressive collection of works that I have read. Today I put down, after a mere three days of reading, yet another tale from the brilliant mind of this historian. Called, The Lady of the Rivers, it tells the fascinating story of Jacquetta, the Dowager Duchess of Bedford, who during her life witnessed, and actively participated in, one of the most turbulent and troubling ages of England's history - the Wars of the Roses. Those of you familar with the story of Elizabeth Woodville - and its screen adaptation The White Queen - can thank Philippa for her incredible talent in bringing history to life. Okay, this is not quite what I wanted to talk about today, but I thought I'd start out by using Philippa Gregory as the perfect example of this week's topic. I know I've discussed research in the past, and stressed its importance - at least to me and lovers of authenticated historical novels - but I feel so strongly about this topic that I wanted to talk about it again. At the end of the book, The Lady of the Rivers, there is an author's note explaining how the book came about, and a bibliography as long as your arm. Honestly, I love my research, but it takes a very special writer who can wade through this much text and deliver an historically accurate piece of work that everyday people can read and enjoy. Australian crime writer, P.D. Martin, is another who springs to mind. Also Philippa, P.D. Martin does her homework. I was lucky enough to meet Phillipa some years ago and we talked about research and how accuracy of detail is important. Particularly as Philippa writes the kind of murder and forensic mystery we're all watching on television these days, many of us fancy ourselves as armchair experts. If the blood hasn't settled in the right spot, if the DNA isn't present, if the this, if the that ... if it's not or other ... in short - if it's not believable and we're not right there in the thick of it, the writer has lost us. Get it right, and you've got yourself a reader who'll come back time and again - and tell their friends. Which brings me to the incredible success of unsurpassed historical/fantasy genious George R.R. Martin. Now this chap knows exactly how to serve a dish of medieval fact and how much fantasy to season it with. I'll admit that I've never been one for the fantasy genre, but I've joined the ranks of Game of Thrones devotees and churned through these weighty tomes - finally ending with a desperate call to a friend, who was herself churning through them, with a plea of, "Have you finished yet? I need to talk to someone!" Such is the mastery of these novels that although they are fantasy, medieval fact is woven - albeit surreptitiously - through the storylines to make the political intrigues, the battles, the passions, greed, loyalties and betrayals all entirely believable! I think, from memory when I last talked about research, that I mentioned the importance of using research for the sake of the story. It's not an opportunity to show off how much you know of your genre. These writers know exactly what I'm talking about, and if we, as readers don't recognise it as we read, we certainly recognise that we like it. Tonight, I'm going to sit down, with a cup of hot chocolate, and watch my current favourite television program, Outlander, based on the magnificently researched and unputdownably (is that a word?) written historical/fantasy/romance novels by Diana Gabaldon. Until next week, ah ... just love a good dollop of fact stirred through a brilliantly crafted piece of fiction! And for those of us in the southern hemisphere - winter is coming...! Haha! Sorry that's GoT in-joke. I'm all over those these days!